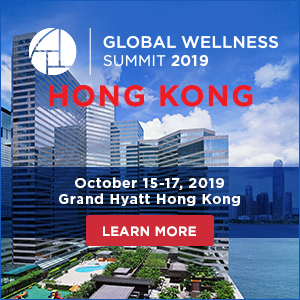 Green is the new black | Spa Inc.
Environmentally conscious businesses are rapidly growing, and spas are among the leaders when it comes to prioritizing the planet and making sustainable practices a strategic part of their business plan. That's what happening at The Spa Ritual, an Asian-inspired eco-spa in Calgary that embraces sustainability by reducing waste, using natural products, and involving staff in its green strategy—and it has been very good for business. "There aren't any other green spas in Calgary, so having this niche gives us an edge with attracting and keeping customers and staff," says marketing director Christina Arthur. "Spa-goers want an experience that is as authentic as possible, and products and processes that don't harm the environment." When it comes to lighting its 7,000-ft. facility, the company uses only compact fluorescent bulbs, which are far more energy efficient than incandescent bulbs. A centrally controlled lighting system, dimmers, and an architectural design that maximizes sunlight all help minimize the use of artificial light. While spas rely heavily on water to provide services and clean, Spa Ritual takes several steps to use less of it. Water-efficient showerheads, toilets, and tap aerators help reduce waste. For laundry, it uses washing and drying machines that are more energy-efficient than Energy Star appliances, and an exceptionally efficient detergent that reduces water and energy costs per load by, respectively, 18 and 25 per cent. To be most efficient, staff load washers and dryers to capacity and don't over-dry laundry. Spa Ritual has been recycling paper, glass, plastics, and batteries since it opened—years before the local government introduced such a program. As well, all bath and facial tissue and paper towels are made from recycled post-consumer wastepaper content. The spa's massage oils, lotions, and other products are free of elements harmful to the environment and human health, such as parabens, sulfates, petroleum-derived ingredients, and artificial fragrances and colours. The ecological impact of vendors, including their manufacturing and shipping practices, is carefully considered. Environmentalism at Spa Ritual is facilitated by staff, who meet monthly as part of a green committee to discuss current initiatives and brainstorm new ones, and also help implement them. "I think our green focus helps us attract and maintain the right kind of staff who have a passion for sustainable living," Arthur says of the recruitment success and quality talent of Spa Ritual, which has won the 2010 Industry Award for Sustainability from Leading Spas of Canada, the 2012 Green Spa award from DaySpa magazine and the Spa Excellence Crystal Award, which partly evaluates sustainability efforts. Spa Ritual is also a founding member of the Green Spa Network, a U.S. non-profit striving to make the spa industry more earth-friendly. 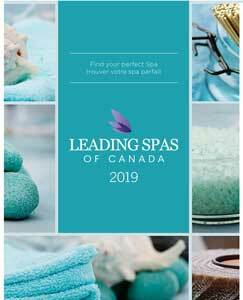 The main organization of its kind in North America— Leading Spas of Canada refers its eco-focused members to the network—its members include 100 U.S. and Canadian spas and personal care product vendors that voluntarily commit to environmentally safe products, services, and practices. 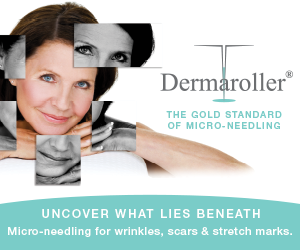 Network members can access resources on how to make spas sustainable, including sourcing durable, high-quality linens; choosing retail products that reinforce a spa's green credibility; and ultimately aligning all business facets, including communication, operations, leadership and employee training, under a cohesive sustainability strategy. While there's little to no data on the sustainability trend within Canada's spa sector, its growth in mainstream business reflects where things are headed. 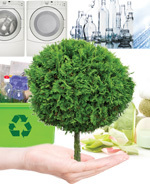 The 2011 study Sustainability: The 'Embracers' Seize Advantage found that spending on sustainability programs by 2,500 global firms with more than $1 billion in annual sales should reach $60 billion this year; for many of those companies, the amount spent will be 50 to 100 per cent higher than in 2011. Small- and medium-sized enterprises are also getting on board: the 2011 report SMEs Set Their Sights on Sustainability, which surveyed 2,000 company executives in Canada, revealed that one third of small businesses have a defined sustainability strategy, and 23 per cent plan to develop one within two years. "There is definitely a growing interest among spas in going green," says Debriana Berlin, executive director of the Green Spa Network. "There's increased consumer demand—millions of people who do yoga, eat organic food, or otherwise have a green lifestyle want to have it across the board." Spa consultant Vivienne O'Keeffe agrees that becoming more sustainable can provide spas with a distinct business advantage. 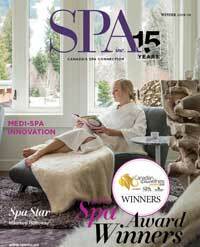 "The payoff is not just economic—the lower water and energy bills—but the goodwill and positive energy that's created when you support the environment and local community," says O'Keeffe, head of B.C.-based Spa Profits Consulting Inc., who has worked with spas in Canada—including The Spa Ritual—and the U.S. since 1994. "It helps you attract the growing number of conscientious customers who want to use responsible service providers." In her practice, O'Keeffe observed an upswing in the sustainable spas trend in Canada until the global financial meltdown, but she says it is gaining momentum again among forward-thinking spa owners. Says O'Keeffe: "Those who are deeply committed to sustainability will continue with it, because down the road it leads to a return on investment."